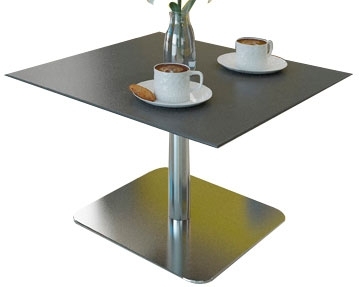 If you’re looking for bistro coffee tables for a canteen, reception area or breakout space, you’ll find exactly what you need in our collection. We offer an eclectic variety of square, round and rectangular tables that can make the perfect finishing touch in any room. Take your pick from an impressive range of materials. From robust and practical MFC to wood effect melamine, laminate and chrome, there are plenty of options to choose from. If you want to inject some colour into your space, perhaps our Portland modular reception coffee table would be ideal. 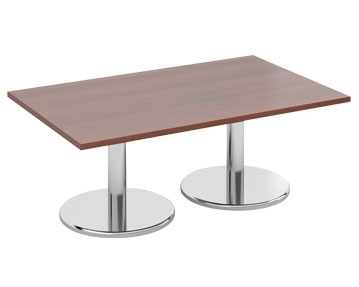 This beech top table with upholstered sides is available in hues including red, purple, blue, green and burgundy. Meanwhile, our Lima conical leg coffee table is another popular design and it’s available in finishes ranging from vibrant pink to classic walnut. For a luxurious, elegant look, check out our Murdoch bistro coffee tables. With an oak effect top and black bonded leather sides, it exudes sophistication. 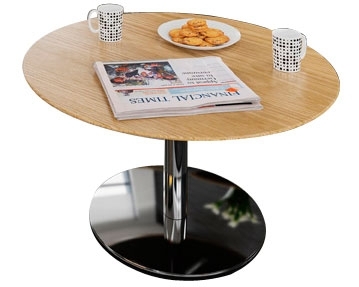 Alternatively, for something simple yet stylish, our round tables with chrome bases could be exactly what you’re after. All of the products in this range are manufactured to the highest standards, meaning you can rest assured they will stand the test of time.